Let this 9 IN 1 Smart Body Fitness Training Portable Ab Machine Home GYM Fitness Machine give the toned sculpted body you have always dreamed of! 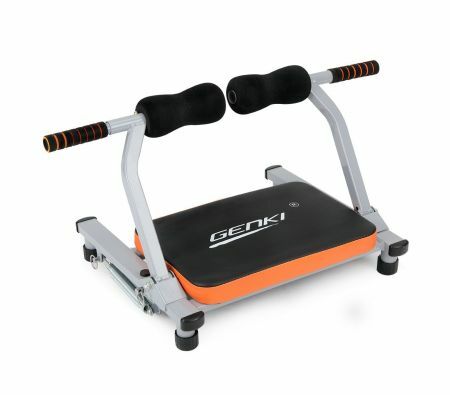 This lightweight home fitness machine is specifically designed to help strengthen and train your mid-section which includes your obliques, lower, middle and upper abdominals. Choose from 9 great exercise to get rid of 'dad bod' or gain that instagram bikini body. Shredded abs are no longer a photoshop fantasy with this portable fitness training machine! 73.5cm x 45cm x 35cm approx.